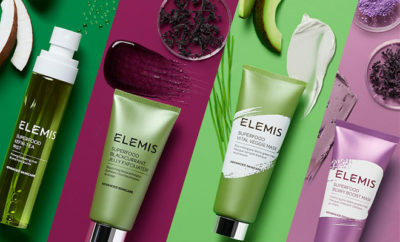 How many of you have had a facial which felt relaxing and left you feeling pampered but when you looked deeply the results were pretty dissatisfying? Relaxing music, the aroma of scented candles all whilst having your skin cleansed, scrubbed, masked and massaged for an hour is brilliant for your soul and yes your skin will thank you for it for a short while. However, when we reach a ‘certain’ age or are victim to a crazy city lifestyle, we need to invest a little more into the long term benefits of the treatments we choose. Going under the knife is not the ultimate solution and yes there are other options apart from Botox. We were recently invited by the Dr Rana Alammadi’s Aesthetic Clinic to experience one such treatment – The Hydra Facial. The Hydra Facial is a serum-based gentle resurfacing procedure for the skin, carried out using a vacuum based skin abrasion tip which is loaded with skin specific serums, consisting of AHA/BHA acids, antioxidants, peptides and vitamin-infused hyaluronic acid. 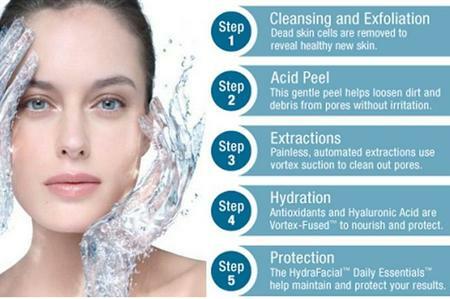 All of which are specially selected to address and treat different skin issues. The Facial uses two types of exfoliation, one, a gentle version of crystal-free micro-dermabrasion and two, a mild, vaporous chemical peel. 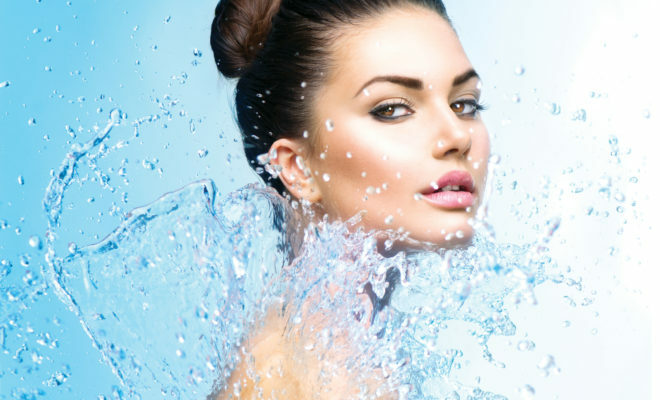 Throughout the facial the skin is bathed with water infused with antioxidants and vitamins dispensed from a wand connected to the system. We Say: The facial takes approx 35- 40 mins. You will most probably leave with a slightly flushed but very polished and extremely radiant face, after about twenty minutes the flushed appearance will settle, Which makes it a perfect lunch time pick-me-up! The facial leaves the skin incredibly smooth, soft and well hydrated with visibly improved skin texture. For long lasting results on acne, fine lines, or hyperpigmentation a course is definitely recommended. The best way to get initial results is to book in for a course of six – one treatment a week. This will get your skin to a standard that is significantly improved. Fine lines are diminished, hyperpigmentation less obvious and congestion cleared away. After six weeks of treatments you can book a maintenance treatment once every two months. The brilliant team at Dr Rana’s will guide you towards the best treatment plan based on what you want to achieve. So next time you’re thinking of spending an hour getting your skin prepped for a big event a few days before. Opt instead to head over to the fab team at Dr Rana’s for fantastic results.